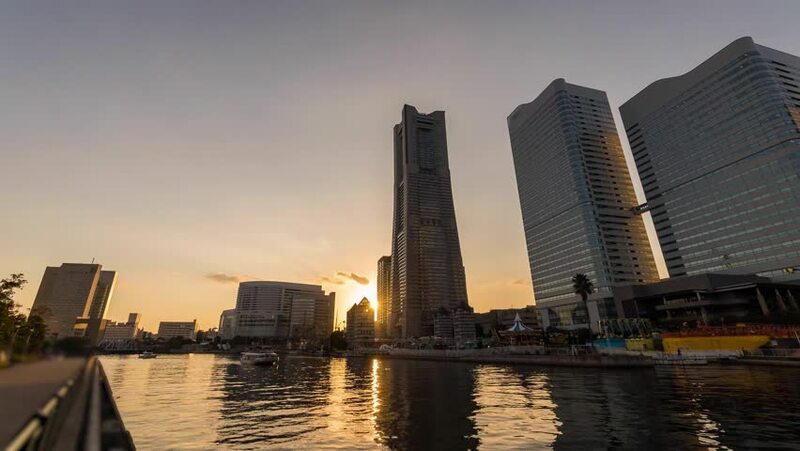 Motion lapse shooting night view of "Yokohama Minato Mirai". When the sun goes down, the lights will light in buildings and amusement parks, and the town will shine. Yokohama, Kanagawa, Japan. hd00:08Moscow International Business Center. Moscow City. Hyper Time Lapse. Full HD 1920x1080 30 fps. 4k00:20Tourist ship cruises through tranquil Hudson river below beautiful hued NYC cityscape and Brooklyn bridge nearby.